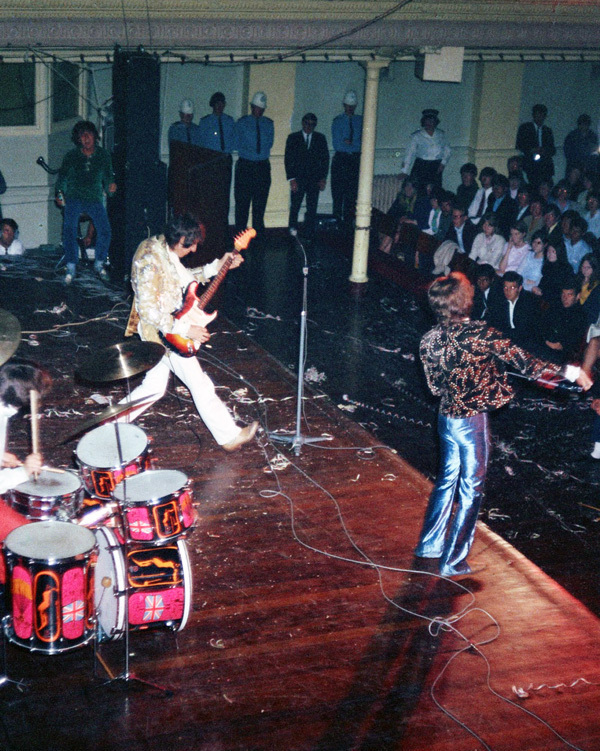 New Zealand music fans from the 1960s still recall an era of two-shows-a-night "pop spectaculars". 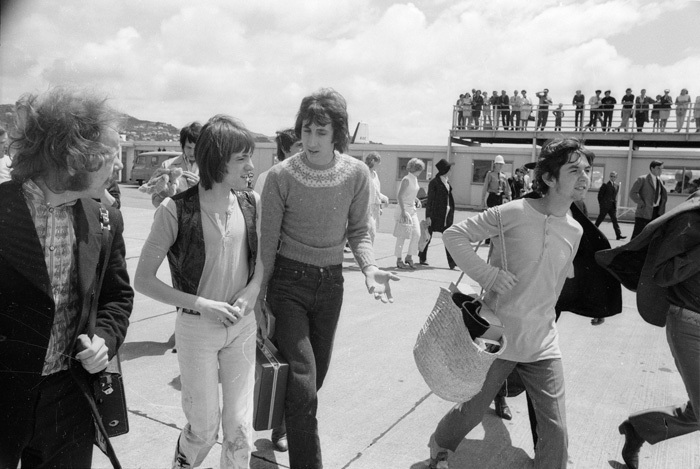 Promoters picked and mixed the sleepless shock troops of the British Invasion, flying them by turboprop aircraft for tours that might take in Wanganui, Napier and Invercargill, as well as the four main centres. 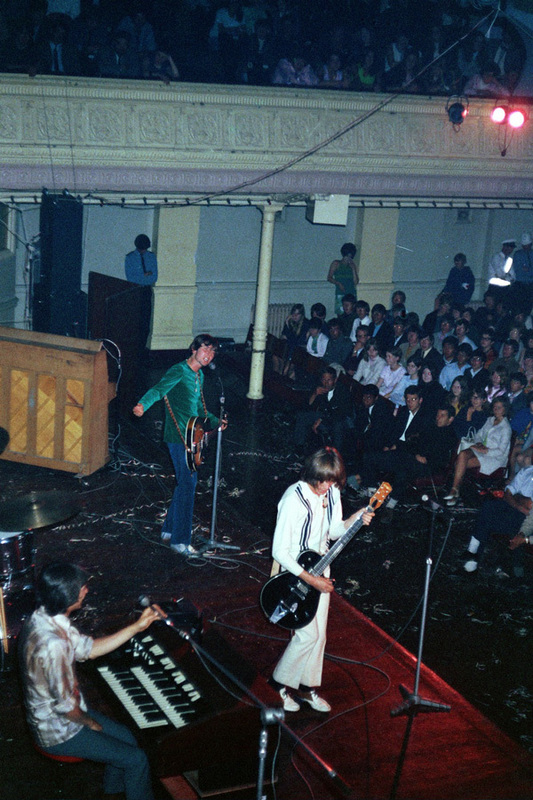 Most of the overseas pop caravans rolling through the capital by 1964 ended up at the grand old civic Town Hall on a stage more accustomed to accordion recitals and sacred songs. There, the shaggy, Chelsea-booted, stove-piped lads would play to screaming houses, phoning in their hits through piddling sound systems. 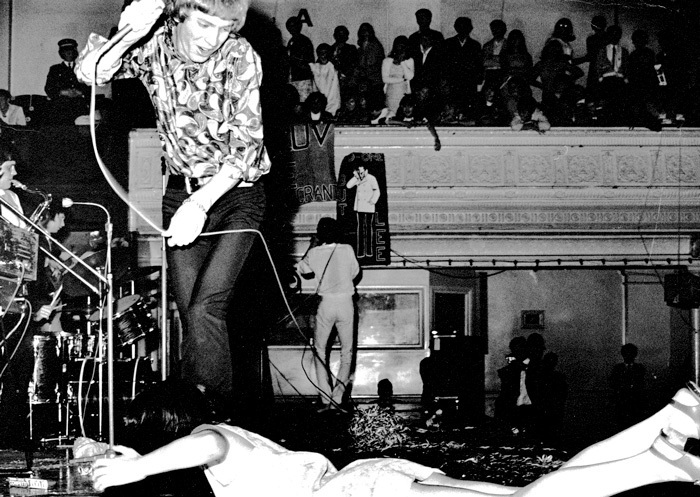 Waves of hysterical fans (mostly women) would continually assault the stage, grappling with white-helmeted police. 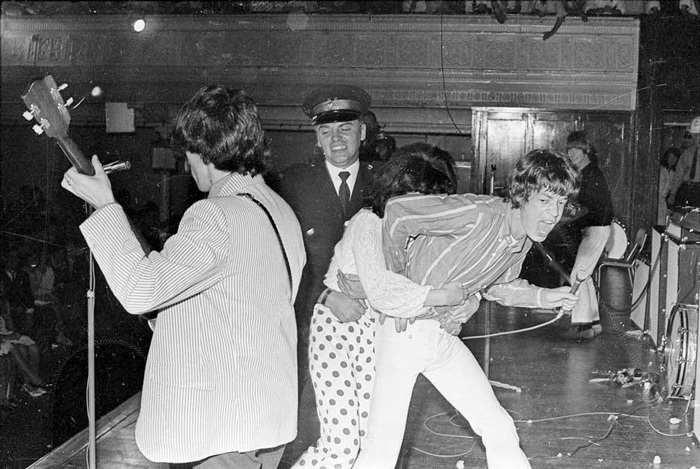 The Rolling Stones with fan and security guard at Wellington Town Hall, 28 February, 1966 - Photo by Morrie Hill. National Library of New Zealand Ref: 35mm-18183-9-F.
Little attention was paid to local bands and singers. They tended to be seen en masse as second raters, a glorified covers band. 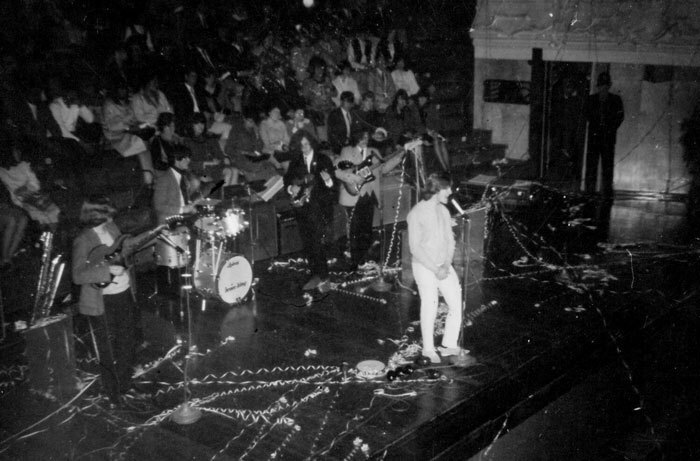 The Beatles shows in 1964 for example were basically staged like a cabaret night, with two supporting local bands and three male singers (including a slightly paunchy Johnny Devlin, who’d first got local women swooning in 1959). In 1967, it all changed for the better. New Zealand pop enjoyed a second coming that in many ways echoed Devlin’s triumphant tours eight years before. This time the mainly British invaders were pushed back by a local hero, laying the foundations for an enduring homegrown industry. 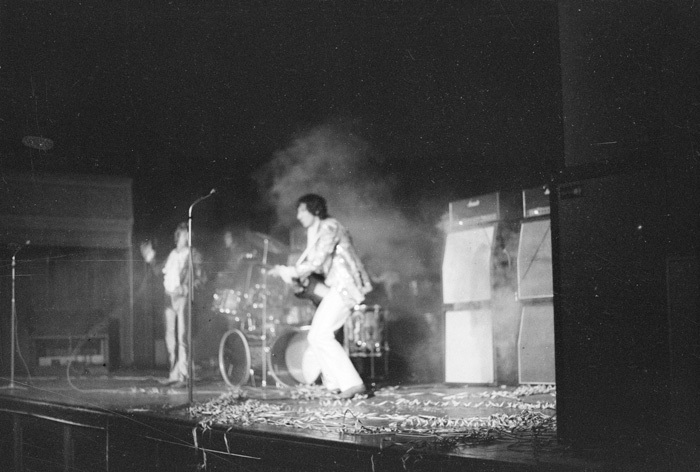 It was partly about the rise and rise of television, in particular the commissioning in 1966 of the massive Studio One sound stage in Auckland’s Shortland Street. In November, the pilot of pop show C’Mon was held there, a show that would be a springboard for a lanky heartthrob fashionista from the Manawatu, ‘Mr Lee Grant’ (real name Bogdan Kominowski). The stellar career of Grant (he was widely mocked as Flea Grunt) has been widely covered, not always generously. He matters because he was one of a series of pop "faces" that cut through locally in 1967 more for their telegenic appeal than singing ability. Sandy Edmonds was the female equivalent. Grant had canny management in the form of Levin journo and entrepreneur Diane Cadwallader. 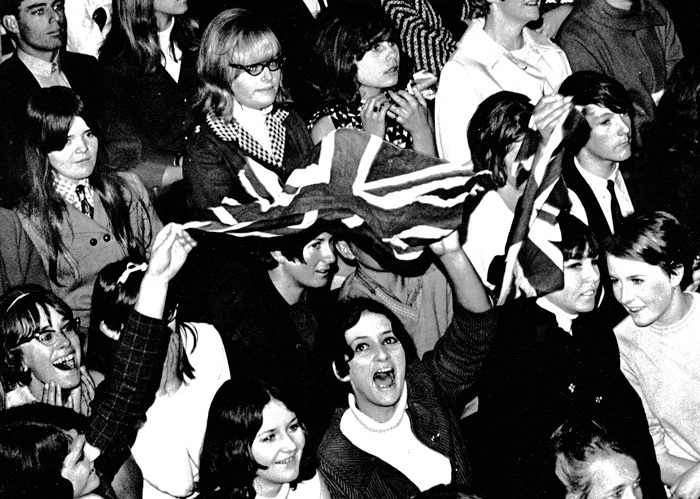 She saw his potential early and like Brian Epstein did with the Beatles, turned the 21-year-old schoolteacher into an unthreatening, middle of the road performer dressed up in the mod fashions of the day. By late 1966, the plot was hatched. Cadwallader managed to hustle him onto the C’Mon pilot in November 1966, where he performed so well that he was signed up as resident vocalist. That summer he was a supporting act for Australian pop idol Normie Rowe of 'Shaking All Over' fame, and accompanied "Blonde Bombshell" Sandy Edmonds on a tour of beach resorts, a pop tradition that continues to this day. 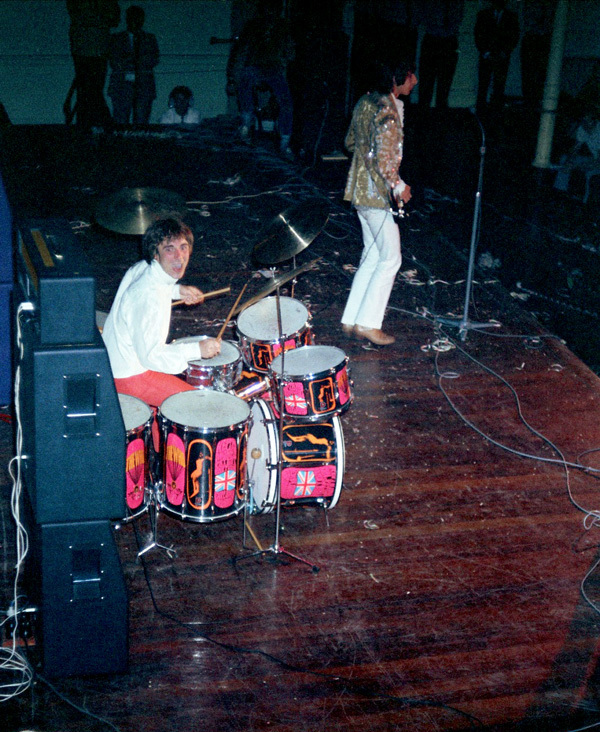 In January 1967, Grant’s breakthrough moment came when he supported one of the pop spectaculars touring the main centres that summer. This was the fabled Big Show, perhaps the greatest pop package ever seen in this country – and the young star did not waste the opportunity. The competition was intense. 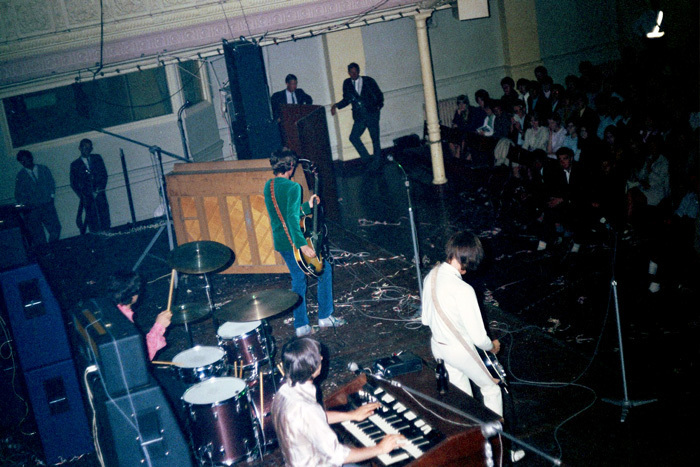 On the bill were British blues wailers The Yardbirds (with a purple bell bottomed Jimmy Page on guitar). Then there were American pop crooners The Walker Brothers (with a second drummer reinforcing Gary Walker’s mild thunder). And lastly the incomparable Roy Orbison, in impenetrable shades. Grant, nevertheless, managed to out-cute them all. 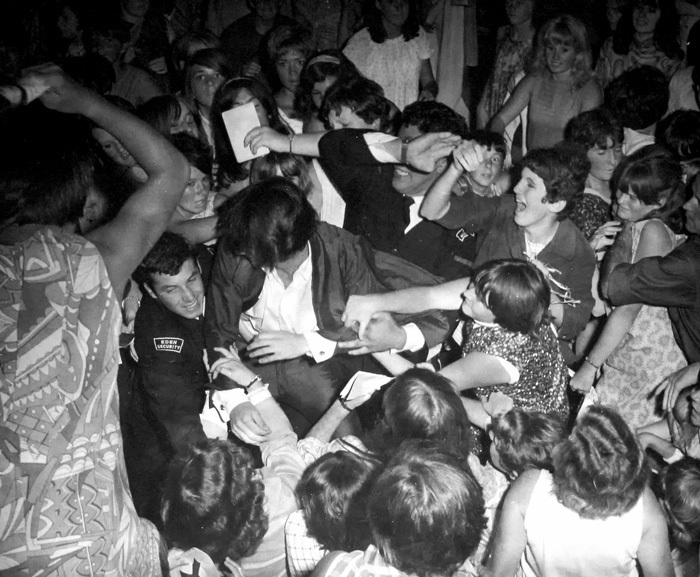 Although photos from the show record stage-diving attempts by local fans to embrace Walker Brothers singer John Maus, they also show welcoming signs draped by adoring Grant fans. Bogdan Kominowski was on his way. The ecstatic reception he got that night helped launch his career, a career that would go through the roof that year. After a soaraway C’Mon season, Grant released hits like 'Opportunity' and 'Thanks to You', the latter topping national charts and snaring 1967’s Loxene Golden Disc Award. 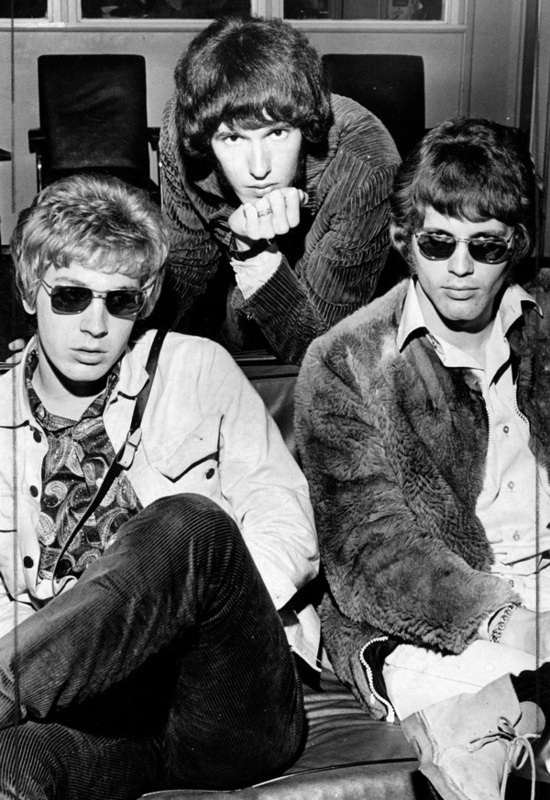 Like Devlin, "Mr Lee Grant" soon vanished overseas (to New Zealand pop oblivion – he would find a second career as a film and TV star), but locally, New Zealand rock was now increasingly unstoppable.